Mt. 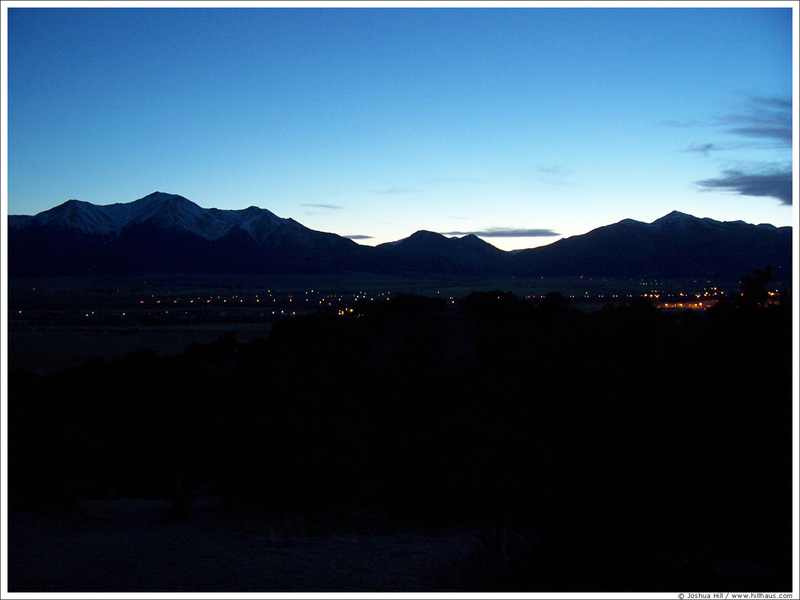 Princeton, a huge bulky mass with three peaks, is one of my favorite mountains in Colorado. 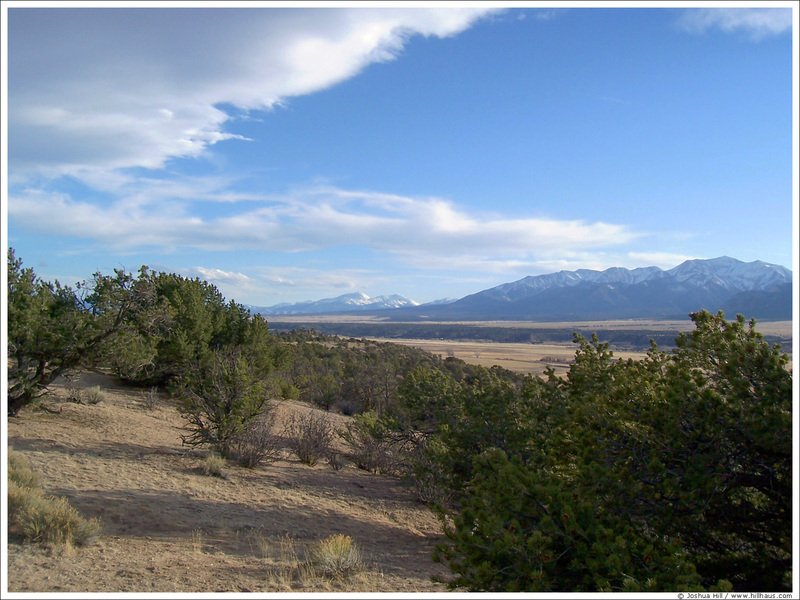 It's also part of the largest concentration of mountains over 14,000 feet on the continent (the Sawatch Range). Mt. 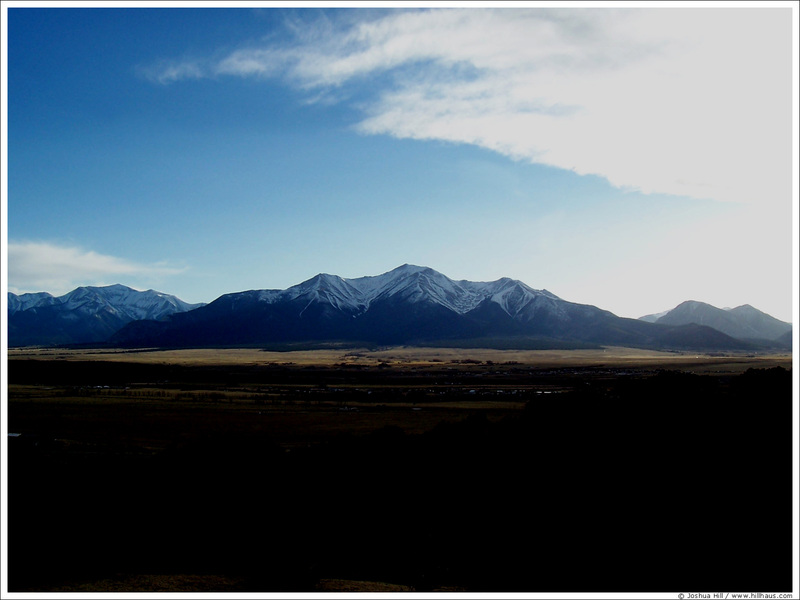 Antero (14,269 ft) and Mt. Ouray (13,971 ft). Mt. Princeton and Mt. Yale at dusk. Mt. 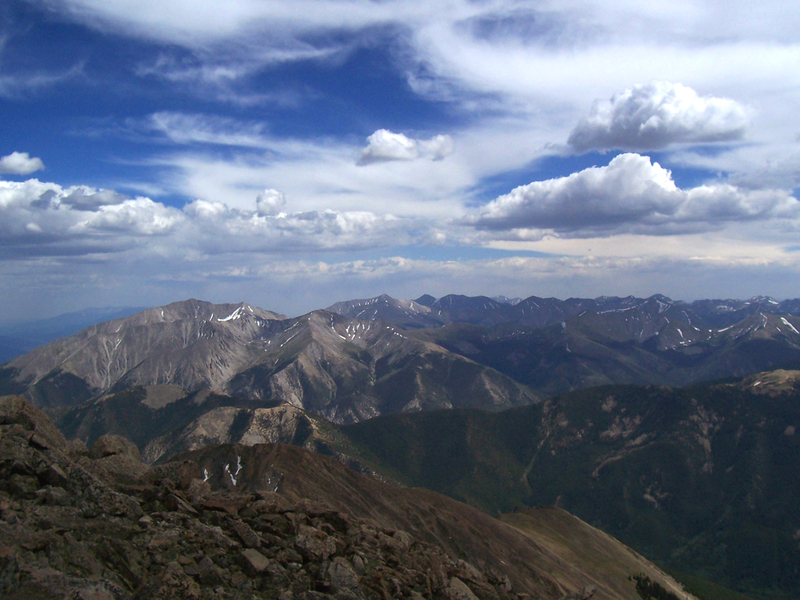 Princeton is 14,197 ft and Yale is 14,196 ft. Here's the view of Princeton from the summit of Yale.